Sat., March 31, 2018, 11:48 a.m.
LOS ANGELES – President Donald Trump blasted California Gov. 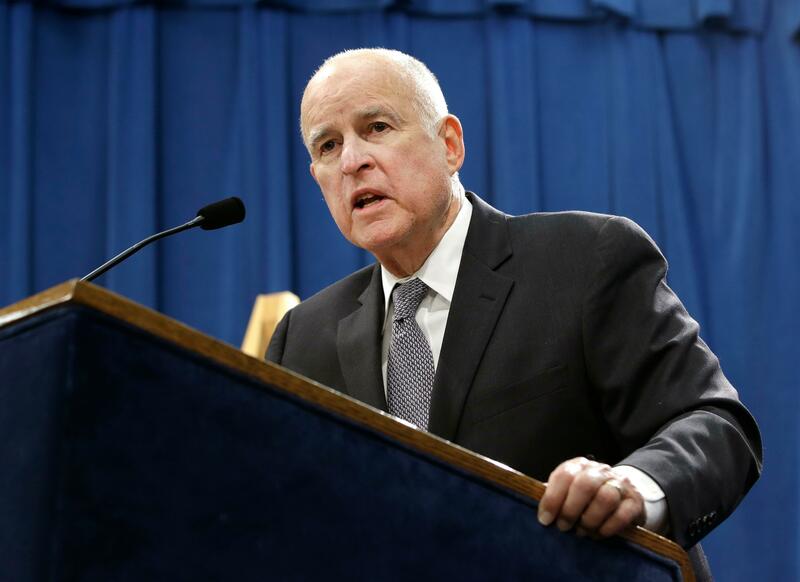 Jerry Brown on Saturday for his pardon of five ex-convicts facing deportation, including two who fled the Khmer Rouge regime in Cambodia with their families four decades ago. In a tweet, Trump referred to Brown as “Moonbeam,” referencing a nickname a newspaper columnist coined for him in the 1970s. Trump then listed the ex-convicts’ crimes before they were pardoned Friday. They include misdemeanor domestic violence, drug possession, and kidnapping and robbery. Also pardoned was Daniel Maher, who served five years in prison stemming from the 1994 armed robbery of a San Jose auto parts store. He was convicted of kidnapping, robbery and being a felon in possession of a firearm in the case. Maher is facing deportation to China, where he has never lived. Maher is from Macau, which became part of China after his family immigrated to California when he was 3. Published: March 31, 2018, 11:48 a.m.